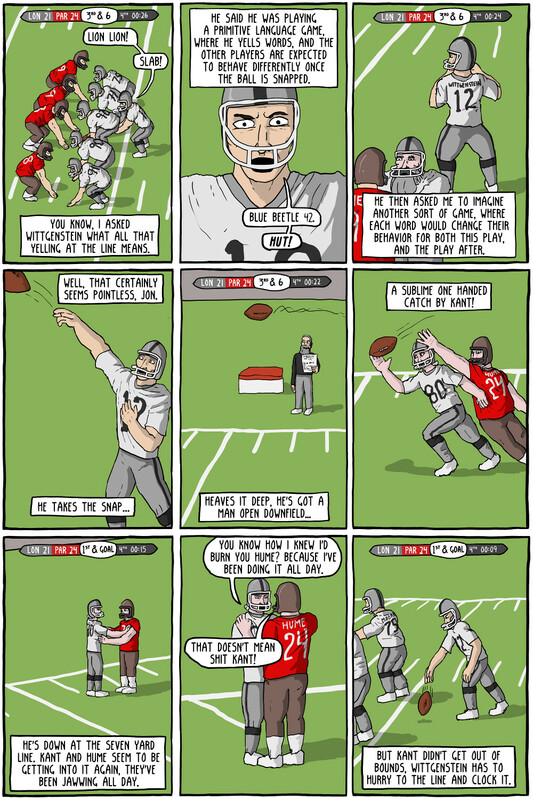 In many ways Wittgenstein is similar to Tom Brady, whose first Superbowl was also based on a mistake: the Tuck Rule. Also, they are both devastatingly handsome. 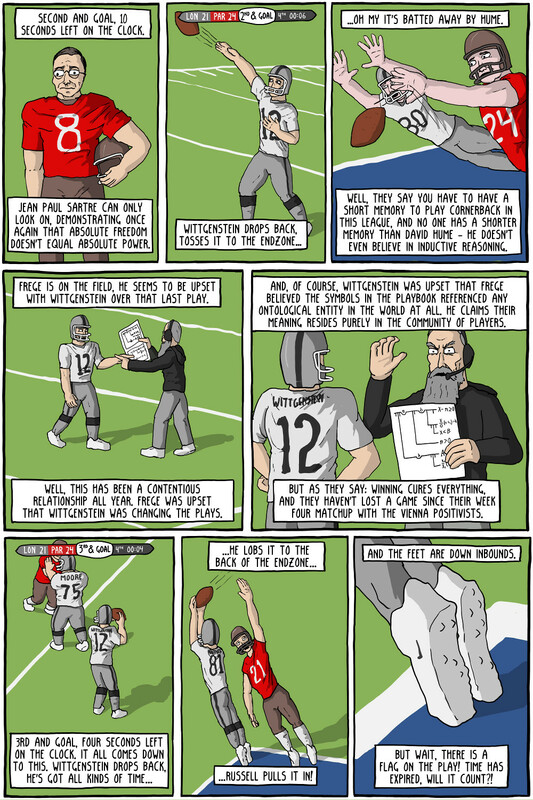 This comic is mostly based on later Wittgenstein, when he rejected many of his earlier works as dogmatic, and focused on overturning what he believed to be mistakes on the fundamental nature of language. Earlier theories by himself and Frege thought language could correspond to logic, and referenced objects either in the world or the mind, but Wittgenstein later rejected the basis for many of these types of theories. Hume's jokes are based on the Problem of Induction, as they always are. Although that doesn't mean that I won't come up with a Hume joke one day that is about something else. Camus' commercial is text taken straight from The Stranger.